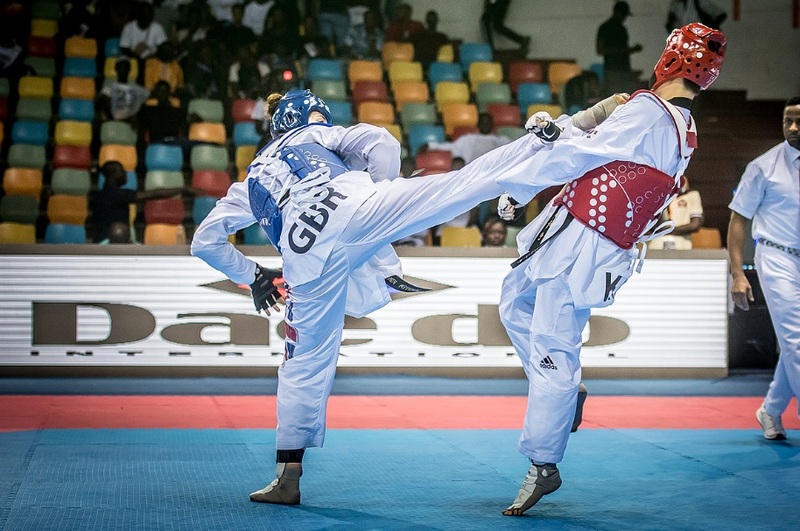 Bianca Walkden will fight for a World Grand Prix gold medal tomorrow (Friday) after a mixed bag of results for GB Taekwondo fighters on the opening day of competition in Fujairah. The double world champion capped a gruelling but impressive day of performances with a 20-5 semi-final win over Turkey’s Nafia Kus. Walkden, last year’s overall series winner, will now hope to make it third time lucky when she fights Shuyin Zheng of China for the +67kg title. The 27-year-old has secured silver medals twice in a Grand Prix final round in 2018 including last month’s 9-7 defeat to China’s Shuyin Zheng in Manchester. “It was such a tough day,” said Walkden. “I was first match on this morning but managed to get through that quite comfortably. “In the second fight, my opponent suffered a freak accident in the first minute of the first round. But I was winning 2-1 at the time so a win is a win,” she laughed. “In the semi-final, it’s always tough against Kus and I didn’t start well in the opening two rounds. But I was relentless in the third round and I upped my intensity. Walkden’s day began with a 21-3 success against Zheng’s compatriot, Pan Gao, a bronze medallist in Manchester and the reigning Asian Championship title holder. Next up was a scheduled quarter-final against Da-Bin Lee though Walkden’s South Korean opponent withdrew through injury. Fellow world number one Jade Jones was chasing her third -57kg GP gold medal of the season. But it wasn’t meant to be for the double Olympic champion as she had a quarter-final exit against Croatia’a Nikita Glasnovic 11-7. Fellow Welsh star Lauren Williams was full of optimism going into her bout against Jan-di Kim at -67kg. The 19-year-old twice European champion was on the cusp of the last eight only to lose on golden point to her South Korean rival. Heavyweight Mahama Cho and Bradley Sinden (-68kg) progressed to the quarter-finals of their respective competitions. However, having enjoyed a walkover against Spain’s Joel Gonzalez Bonilla, the Doncaster fighter went down 35-21 against Yu-Jen Huang of Chinese Taipei. At the same weight, fellow Brit, Christian McNeish, lost his opening bout against South Korean, Seok-bae Kim 37-23. Londoner Cho, runner-up at the Paris Open last weekend, defeated London Olympic silver medallist and former world champion, Anthony Obame, 8-7 in his first contest. But he then suffered the same fate as McNeish and Williams beaten by a South Korean rival, Kyo-don In 20-18. Damon Sansum, a Grand Prix finalist in Manchester, lost out 23-13 to Uzbekistan’s Nikita Rafalovich in the opening round.